Property | Emirates Property-what's your property cravings? UAE, October 31, 2017 – Dubai real estate market’s continuing growth story has been featured in an international briefing of global real estate markets at the Miami International Real Estate Congress, organized by the Miami Association of Realtors. Top executives from Realopedia, the global real estate e-marketplace established in Dubai, presented a market briefing at the event, an annual gathering of real estate professionals across the United States and worldwide. Wally Gebara, Associate VP of Realopedia for North America and Paul Gebara, Director of Marketing and Business Development of Realopedia, highlighted the sector’s key growth areas, noting that foreign investors accounted for most of real estate investments in the emirate during the first nine months of 2017, amounting to USD 11.7 billion (AED 43 billion) from a total of 22, 667 transactions, based on official data. With Dubai looking forward to hosting Expo 2020, Paul Gebara highlighted the ongoing activities and preparations in the run-up to the global event. Demand for properties in the emirate is expected to soar to meet visitors and businesses’ needs during the six-month trade fair. The central business districts and luxury offerings drew sales the most during the first nine months of the year, with Burj Khalifa leading in the transactions, reveals data from the Dubai Land Department. The Realopedia Team will also head to the annual conference of National Association of Realtors in Chicago. Realopedia leverages the power of digital technology to bring together industry specialists under a single platform to expand the reach of all real estate stakeholders. The company has established partnerships in major real estate markets worldwide and key offices in the UAE, the US, and the UK. The company also recently completed its application on Android to provide its customers with a user-friendly platform for networking in one tap. The mobile app will soon be launched in iOS. Dubai, September 14th, 2017 – Archinnova, a leading innovative business technology consulting and implementation firm, has been selected by the Mohammed Bin Rashid Housing Establishment (MRHE) to help fully automate its Application Delivery Lifecycle. The company has been appointed by MRHE as a system integrator and is tasked with educating, implementing and supporting the installation and application of the ‘DevOps Solution.’ The move has positioned MRHE among the first government entities in the Middle East region to implement end-to-end, best in breed ‘DevOps Solution,’ which in turn can help in achieving Agile software development status in practice, culture, and technology. The MRHE vision is aimed towards providing a house for every citizen, thereby ensuring happiness and helping them improve their quality of life. As part of their efforts to achieve this vision, MRHE is looking to reinforce their housing policies and set a strategic goal of providing around 15,000 versatile housing services by the end of 2020. Utilising DevOps will allow MRHE to enable an internal IT organization to allow the deployment of newer e-services to its customers; encourage better interaction with customers and increase service quality, especially in handing client feedback, complaints and suggestions with high efficiency and productivity. MRHE believes that client satisfaction is an essential aspect to their success and the adoption and utilization of DevOps will prove to be highly advantageous for them–as it urges both development and operations teams to closely work together in order to drive in a better understanding of their respective processes and challenges. In line with this, Archinova has detailed a holistic approach to MRHE’s software development lifecycle (SDLC), which translates to improved service delivery and faster recovery of any service failure. Archinova has further expressed its commitment towards delivering the deepest integration into application Lifecycle & Continuous Delivery for MRHE–positioning itself as an integral part of the DevOps toolchain to automate quality checks, proactively identify performance issues, and ensure confident delivery without sacrificing quality. For the MRHE IT team, the implementation of Archinnova’s DevOps solution will include continuous software delivery, easy to manage applications and a faster resolution to problems and issues. Utilization of ‘DevOps’ can drive close to 67 per cent reduction in resource demands on the application release team and process; around 75 per cent the relative hours needed in repairing defects per environment and post an 82 per cent reduction in application deployment time. Meanwhile, the implementation of the solution will also drive in a cultural edge to MRHE operations like happier and more productive teams, increased employee engagement and the presence of more professional development opportunities. Metrics wise, its use will see 200 times more deployments, 24 times faster recovery and three times lower change failure rates. “Archinnova is proud to bring and implement the ‘DevOps Solution’ for MRHE, which encourages innovation through collaboration. The successful collaboration between development, operations and business teams remains the formula for success for a best customer experience. The implementation of ‘DevOps Solution’ offers faster delivery of features, a more stable operating environment, improved communication and more time to innovate,” concluded Diyaa Zebian, CEO, Archinnova. The integration of DevOps into MRHE’s operations and culture is expected to enhance the organization’s overall performance, drive improvements in its software delivery chain in order to help achieve higher levels of happiness among customers. DevOps has become the latest trend for many corporate giants including Amazon, Facebook, Target, and Adobe–who have all become believers. In fact, Amazon has recently adopted a ‘You build it, you own it’ culture where developers of a service are responsible for its operations throughout the lifecycle. UAE, September 13, 2017 – More new business opportunities in the GCC recently opened up for Brazilian investors with USD 32 billion worth of large-scale urban construction projects now being tendered in the region, according to the Arab-Brazilian Chamber of Commerce (ABCC). The ABCC, which aims to foster economic, cultural, and tourism ties between Arabs and Brazilians, said that the report recently released by Dubai-based market research firm BNC Network is strong proof that the GCC remains a promising market for Brazilian businessmen. The report reveals that a total of 801 urban construction projects with a combined value of USD 32 billion is currently being tendered in the region. The same report also forecasts that the value of regional construction contracts will hit the USD 50.9-billion mark by the end of 2017. “The year 2017 is proving to be an exciting time for vibrant and robust Arab-Brazilian ties. The urban construction projects as reported by BNC are another opportunity worth exploring by investors from the vast South American country, which will pave the way for more avenues to further flourish the relations between the Gulf countries and Brazil.We are closely coordinating with our partners to see how we can further facilitate the flow of information and knowledge between interested parties to maximize new prospects in the rapidly increasing construction activities in the region,” said Dr Michel Alaby, Secretary General and CEO, ABCC. BNC attributes the ‘tremendous’ construction projects in the region to mega-events such as Dubai Expo 2020, as well as oil price stabilization, economic diversification policies, and higher living standards. It expects the total contract value to expand by 29 per cent to USD 65.6 billion in 2018, and by 1 per cent to USD 66 billion in 2019. It also notes that the UAE remains the region’s construction industry hub, citing substantial contracts sealed during the second quarter of 2017 in the country such as the Deira Island Mall in Dubai; City Center – Al Zahia in Sharjah; and residential complexes Yas Acres in Abu Dhabi. A contract covering Danat Al Lawzi in Bahrain was successfully closed as well during the same period, the report adds. UAE, September 13, 2017 – Drake & Scull International PJSC, a regional market leader in engineering and construction services, has announced that its newly-elected Board Members have convened for the first time. The Board ratified a series of procedural decisions necessary for the company to conduct business as required and chose new committee members from among its ranks. The second General Assembly Meeting convened earlier on the 9th of September 2017 and ratified the appointment of the new Board Members and elected additional Members to fill the vacancies resulting from the resignation of the former Board Members. During today’s meeting, the Board elected Abdulla Atatreh as the new Chairman; Independent Member Ahmed Saeed Al Hamiri as Vice Chairman; and Abdulla Fareed Algurg as new Board Member. Algurg replaces the vacant seat of Majid Al Ghurair who resigned during the recent General Assembly Meeting held on the 9th of September 2017. At the executive level, Board Member Mohammed Atatreh was appointed as DSI’s new Managing Director. Members of DSI’s Audit, Nomination, Remuneration, and Investment Committees and the Secretary of the Board of Directors have been appointed as well. During its inaugural meeting, the Board emphasized the completion of DSI’s capital restructuring program as a top priority to boost liquidity and stabilize the business. It also concurred on establishing a clear strategy for recovery and growth that will capitalize on the Group’s healthy project pipeline, industry stature, and the bullish industry outlook for the region. The Board’s immediate goals include further organizational restructuring to achieve higher levels of efficiency, synergy, and resilience. It is currently planning additional executive appointments to support DSI’s comprehensive turnaround strategy. UAE, September 12, 2017 – Realopedia, the global real estate e-marketplace established in Dubai, has launched its pioneering online booking platform for developers at the ongoing 16th Cityscape Global conference and exhibition at the Dubai World Trade Centre. The move is another reflection of the growing convergence and incorporation of property technology (PropTech) into the dynamic real estate market in Dubai, the UAE, and globally. Realopedia, which is located at Stand No. S3A01 of the event’s venue, presents developers with substantial business growth opportunities via the newly launched online booking platform, in addition to offering them solutions to reach an extensive range of investors and customers. As part of the Realopedia e-marketplace, registered developers within their set jurisdictions or areas can upload their inventory with an option to harness 3D and virtual reality (VR) technologies to give their prospective investors and customers a lifelike experience and a sense of what it is like to explore the actual units. These premium real estate projects can now be easily booked by property buyers – be it for their location, price, and features – with the click of a finger. The online booking platform has effectively made the cutting-edge e-marketplace a gateway for investors to quickly and conveniently reserve a property of their choice. “The online booking platform for developers is an innovative offering that will bring investors’ experience to the next level. In our online community, buyers can connect with registered agents and brokers, as well as reach out to agents who can represent them globally under DPAP, the ‘Developers Preferred Agents Program’,” she added. 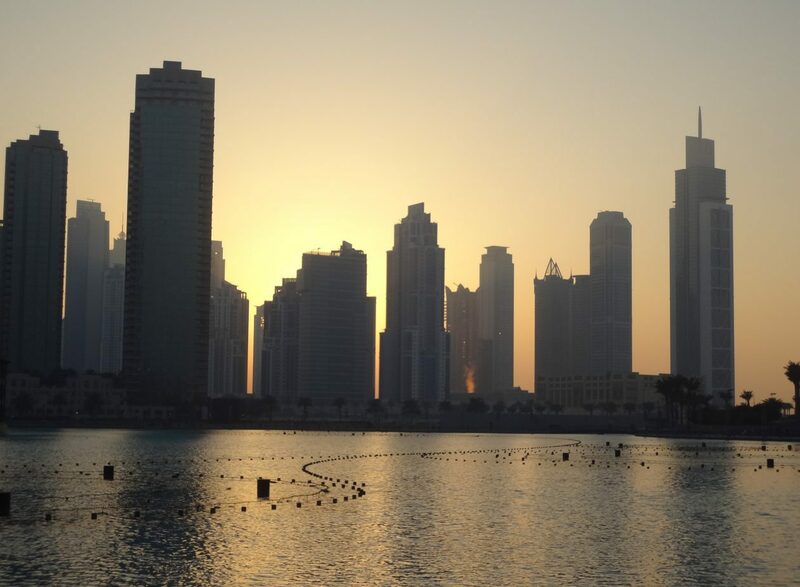 Realopedia will introduce its ‘Make an Offer’ scheme for real estate agents, whose property is registered as per the regulations of Dubai Land Department and the Real Estate Regulatory Agency (RERA) in Dubai or official regulatory bodies in their respective countries. The exciting new concept is set to go live next month and is expected to give agents a big push in terms of promoting properties they have on offer. Technology is increasingly being adopted within the UAE real estate market, with investors making use of digital tools to help them arrive at an informed decision. A latest HSBC survey shows that UAE home buyers go online to look for available properties (72 per cent); check the value of their current home (67 per cent); learn about taxes and regulations (65 per cent): research where to live (65 per cent), and explore prospective home prices (64 per cent). According to Choueri, this key trend of technology integration is only the beginning. Realopedia has recently formed a first-of-a-kind strategic alliance with the region’s leading e-commerce site Souq.com, a subsidiary of Amazon.com, leveraging on its global accessibility and digital expertise to expand market reach for all its stakeholders and online users. September 12, 2017 – The Dubai Land Department’s annual report for 2016 underscores the huge success of Dubai in particular in attracting property investors, registering a total of 60,595 real estate transactions collectively worth over AED 259 billion. Falconcity of Wonders LLC will showcase the latest developments within its Falconcity of Wonders (FCW) multi purpose mega project during the 16th edition of City scape Global, the largest networking exhibition and conference dedicated to the real estate trade running from September 11 to 13, 2017 at the Dubai World Trade Centre. FCW covers over 41 million square feet featuring residential, tourist, entertainment and recreational components shaped in the form of the UAE’s national emblem – the Falcon – which is fast emerging as a major landmark within Dubai’s iconic real estate landscape. As its name implies, the development will boast of local versions of the renowned Wonders of the World. UAE, June 20, 2017 – Drake & Scull International PJSC (“DSI” or the “Company”), a regional engineering and services leader announced today, that it will proceed with the final preparations to secure the approval of the Securities and Commodities Authority (SCA) to initiate the 75% share capital reduction. The Company is preparing to fulfil the regulatory requirements to initiate the share capital reduction and to subsequently effectuate the cancellation of 1,714 million shares to extinguish its total accumulated losses attributed to the owners of the parent. The latest developments represent a critical progress in the capital restructuring program that will enable the Company to resolve its liquidity challenges and to execute its turnaround strategy to stabilise the business and to pursue its growth objectives in the regional MEP sector.